Keep in touch with friends and loved ones via this classic note card. 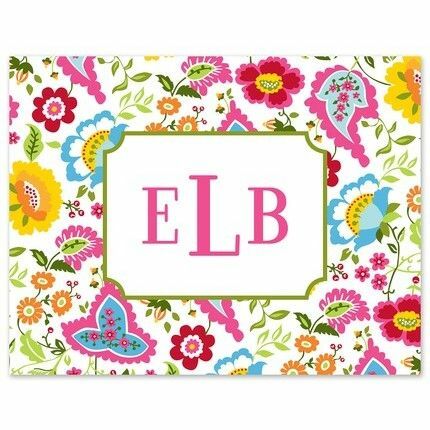 This white card features a brightly colored floral background that is the perfect accent to your personalized text, which is printed in the center of the card. Shown with optional monogram, Classic Monogram.